For us, each stand is a work of art. We are engaged in every creation with the same passion that existed on the very first day, putting our heart and soul into every creation. We give priority to the client and their needs, that is the reason why we work together the briefing to be as detailed as possible. To get to accomplish the project it is important to have as much information as possible. We start with a hand drawing scketch of the stand to define the main charachteristics. So the client can see from the first moment how the stand will look like before the 3D job. Our specialised designers will create a 3D graphic design, including renders, to visualise the stand almost like a picture. The client can see as a real model of the stand. Once the design and quotation is aproved, we can start production of carpentry and graphics. 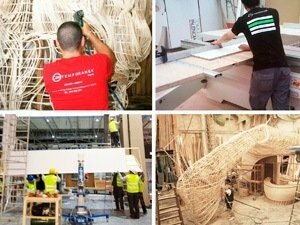 The client has the chance of visit our workshop and follow the evolution of the construction. Stand delivery is scheduled for the day before the event at midday (except paint retouch and cleaning that will be done just before the event) We deliver the stand with all details of furniture, audiovisuals, and if you need it, also with hostesses or promoters. We do the stand dismantling and waste managment. 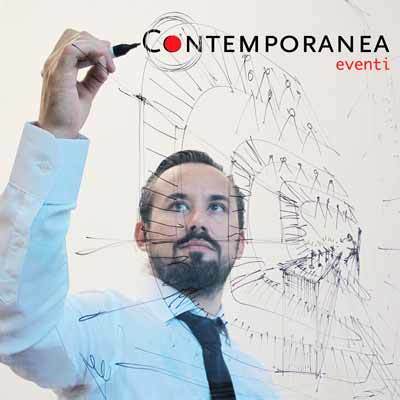 From begining to end Contemporanea Eventi is at the service of your stand. Our headquartes are in Barcelona and we hve aswell with offices in Madrid, Bolonia and Warsaw. 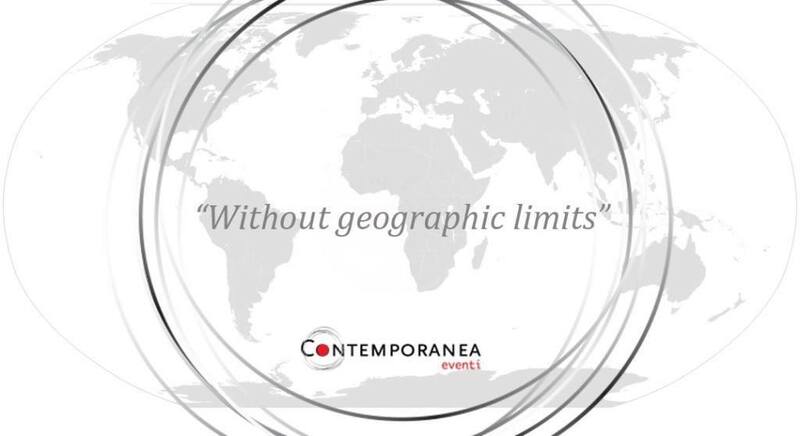 We can design your stand all over Europe without geographical barriers. Outside of the EU to have more competitive prices we collaborate with local producers, specialised companies in stand design. In that case our project managers supervise all the project and deliver the stand in situ. Our head office is located in Barcelona, with three additional operative bases in Madrid, Bolonia and Warsaw. We are able to provide our service in locations all over Europe, no matter where you are located, offering competitive prices and focusing our attention on customer satisfaction. Outside of the European Union: we are collaborating with local designers in order to guarantee affordable prices. In this case, our project managers will be in charge of the project management, production, supervision and delivery on site in person.